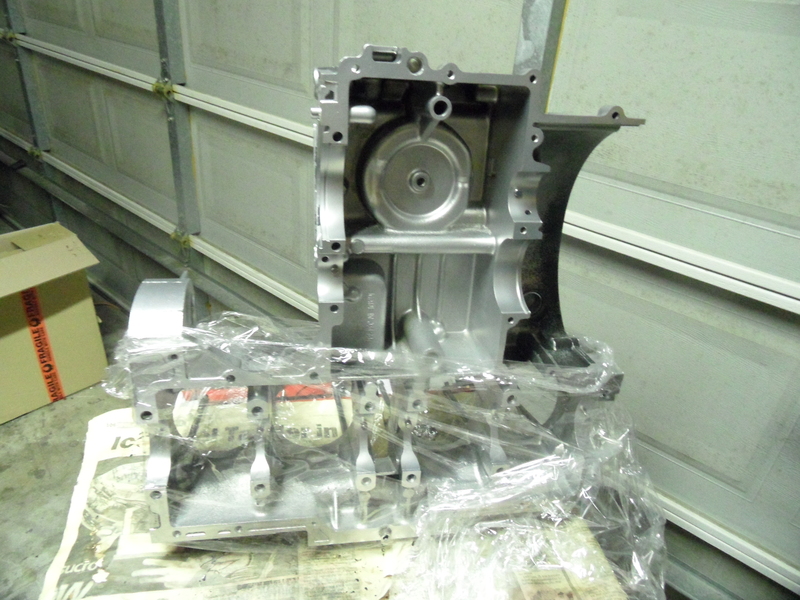 While assembling the frame has been reasonably straight forward, the engine work has dragged on mainly due to too many other projects. However this month (January 2015) has seen some renewed effort to rebuild the bike and have it on the road shortly. Staring with the top case, I unwrapped it after it has been meticulously water blasted clean by Specialized Blasting Services. 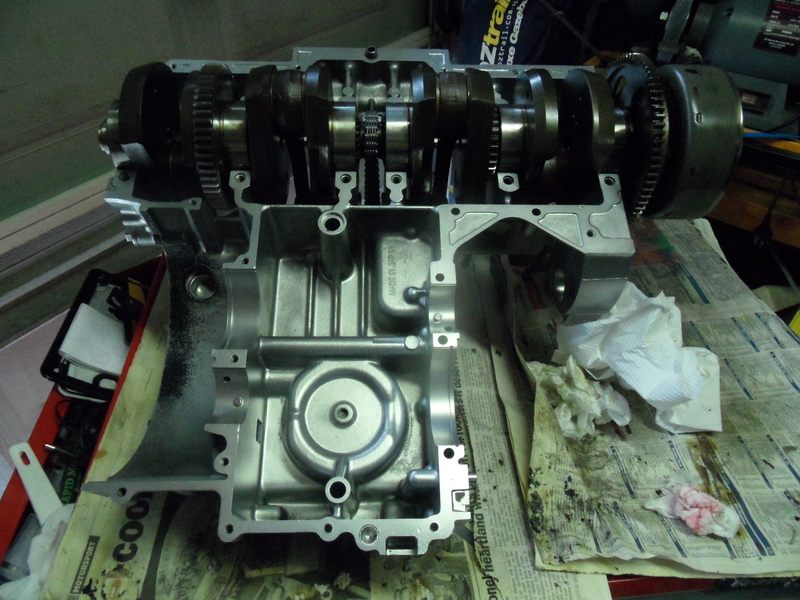 Next, the top engine case getting fitted out with the crankshaft back in first. Basically its the exact reverse of the disassembly process. A new cam chain is fitted as well as a new crank seal. Main journal is not yet bolted down in this picture. 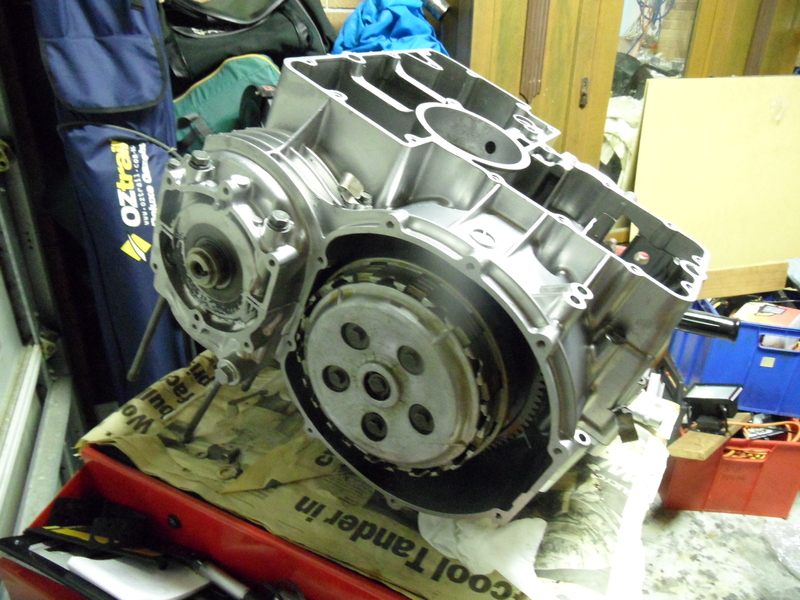 First the main bearing cap is installed, clutch and output shaft come next. A new oil seal for main oil gallery is fitted before bottom case goes on. In the bottom case the shift dogs live so these need to be slid into place. The top and bottom end assembled minus the side covers. The gear change hardware is added. Still to install is the gear shifter and “transmission” cover. 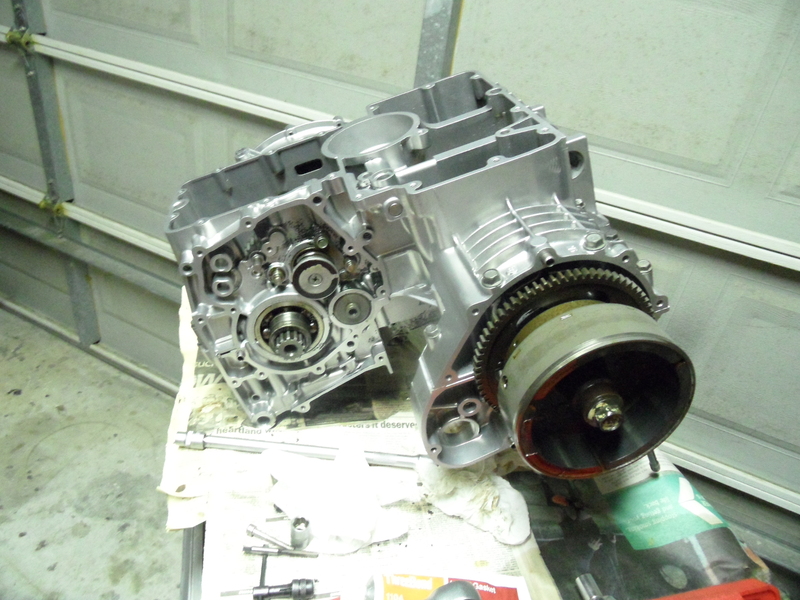 Looking at the other side, Ignition case yet to be installed, clutch basket needs gasket and cover installed. More photos to come! – I just need to upload photos off the camera and post them to the blog article. So check back later in February for an update. Gear change cover with cable. Orientate engine correct way round (up). Barrels (pre-honed for new rings). Oil feed for oil cooler. Head gaskets and cam tunnel oil seal (Wisco do sell a copper gasket for this kit) factory is a single gasket and was fibre not copper. Fit head, cams and bolt down as per manual. 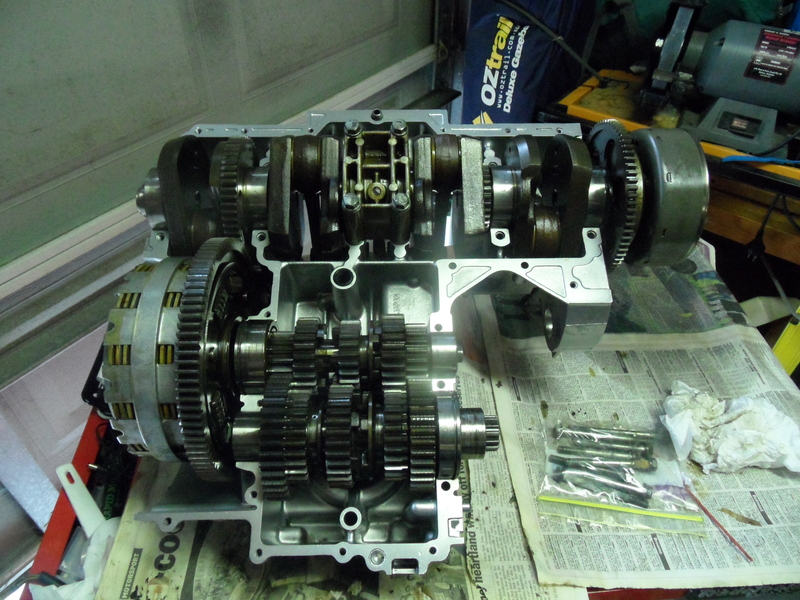 Next: GPz1100B2 – Completing the Rebuild – Finally the rebuild is nearing the end.